CPA and business advisory firm, Eide Bailly, recently invited Cutler Law Firm Partner, Daniel Doyle, to join its Sioux Falls Advisory Board beginning in October of 2018. Eide Bailly strives to be forward thinking, both in terms of services offered and also the way clients are actually served. The firm believes there are always opportunities to improve. For this reason, Eide Bailly implemented a rotating annual advisory board. The members of this board help the firm take an objective look at Eide Bailly’s business and its marketplace. Feedback on the image of Eide Bailly, both from a personal and community perspective. Opinions on services currently offered and those that should be offered, as well as how the firm could better market itself both locally and regionally. Thoughts regarding how the firm currently contributes to the Sioux Falls economy and community, and what might be considered in the future. Daniel will serve for a term of one year on the Advisory Board. 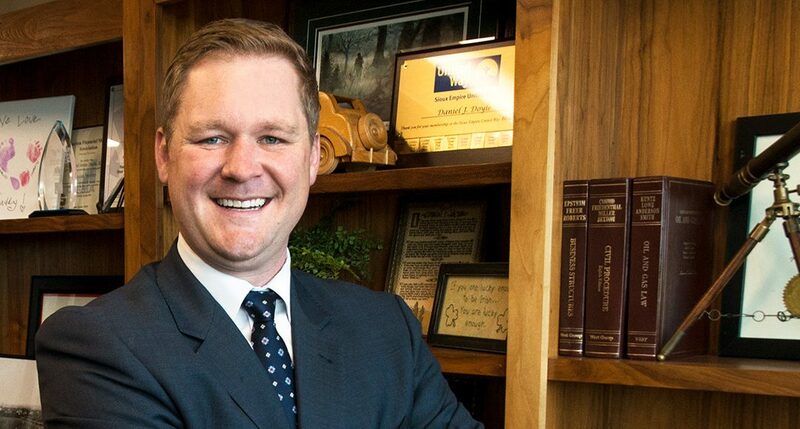 Daniel’s practice focuses on business organizations, mergers and acquisitions, telecommunications, banking and finance, real estate and construction law.